Just read the BIBLE! | Open Our Eyes, Lord! If I didn’t know better, I would have guessed the announced Bible, below, was a hoax. It is not. …he also publishes his very own Bible with Thomas Nelson. Somehow I missed this, but it’s been around for a few years. 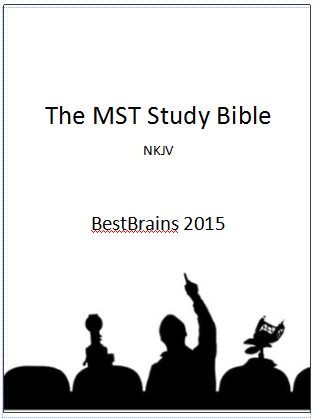 This is the 2015 edition, due out this month. He is probably going to be updating some of his predictions that have failed over the past few years. 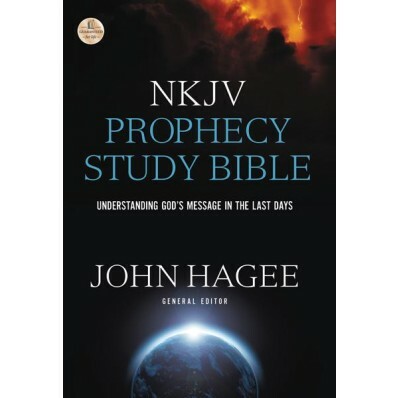 Jack Van Impe has his own prophecy Bible too. Better to buy a Bible Bible for a few dollars, or read it online gratis, instead of an expensive Bible, filtered through the personal impressions of some teacher or another. You are better than this, Thomas Nelson. 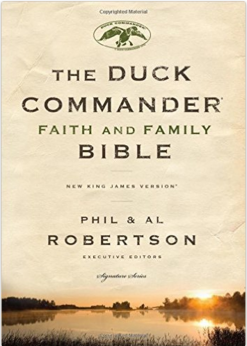 PS – an old friend just told me this isn’t the first “boutique study Bible”, that the Duck Dynasty also has their very own! Double shame. PS – no disrespect toward the Bible intended – but a friend suggested the following. At least I wouldn’t have to keep asking, “Are you kidding me? !” after every comment. First, I don’t think it’s a crime to be wrong wrt prophecy; clearly God didn’t intend to be transparent, obvious, or direct. Instead (as I see things,) God chose to hide much of this information until near the time of the end. Doesn’t a lot depend on how someone provides this information, do they claim their interpretation is inerrant? Or do they teach from a humble basis. MOST IMPORTANT, what is their intent?, to sell books, to be (self,) important, or to help educate other saints? 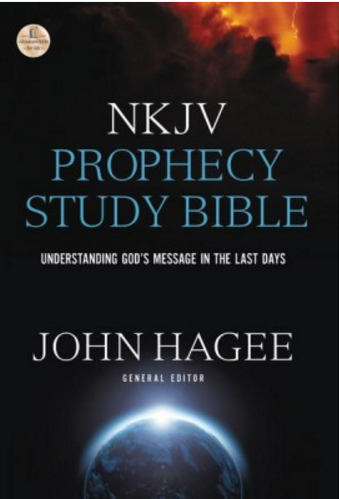 I am not a fan of Hagee, to me he is the very inverse of humility. I was a new Christian when Hal Lindsey wrote. Note, several key elements of his propecy model (such as when,) have already failed. And a few years ago I saw him pictured with (I forget,) either a Rolls or a Bentley, and suddenly I got it. But despite the fact that he’s just as human as me, I don’t think HL intended to mislead anyone, he simply was too forceful for his audience. Also, remember, our knowledge of the end-times has increased substantially over the course of these past two decades. What’s going on?, we’re getting closer, the Holy Spirit is prepping us. Last, I’d like to point out that Harold Camping, for most of his career, built and managed a ministry that benefited many poor and hurting people. If he had died a decade ago his reputation would be very different today. And then, a few years ago clobbered those same people financially, because that’s who paid for those billboard ads. My point, AS I SEE THESE MEN, each has done some good and isn’t it Jesus’s job to judge and manage his church. By the way, I think Jesus is managing his church! All of us, every Christian is worked with and managed by the Holy Spirit, and these men are too. This is part of what being a Christian is. Hi Jules, and thanks for sharing! I agree with much of what you suggest. However, I don’t think we should just leave it to heaven to keep his church pure and its teaching sound. After all, why teach the Bible at all? Why not just tell people to figure it out for themselves? People who are false teachers are not false because they are insincere, they are false because what they proclaim to be God’s revelation is false. I have no idea whether HL, Hagee, etc. are sincere, and it doesn’t matter to me – they will answer to God, just as you and I will. I never blame these leaders by themselves. The gullible throngs of people who support them share much responsibility.